After the time has passed come back and click the exclamation mark above your sims head to find one of the pinball collectibles in that row. 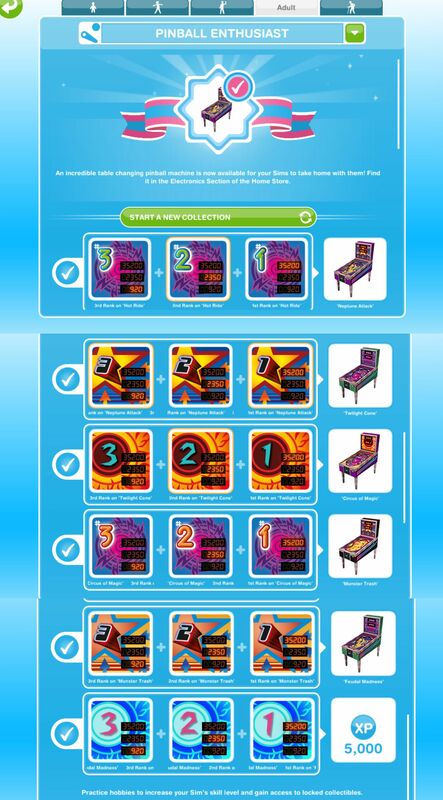 You still level up in this hobby but the hobby level up percentage isn’t important as the pinball collectibles don’t unlock depending on your level, when you finish a row of pinball collectibles you will unlock the ability to use the next machine to find the pinball rankings in the next row. Can You Post About The Long Hair hobby?